Adults and Braces What’s so great about self-ligating braces? Dr. Troy Gor and Dr. John Studer and our staff recommend that you toss your old toothbrush in the trash and purchase a new one every three months. Children tend to bite on their toothbrushes, which makes the bristles degrade and fray faster. Chances are kids may need to have their toothbrushes changed more frequently. 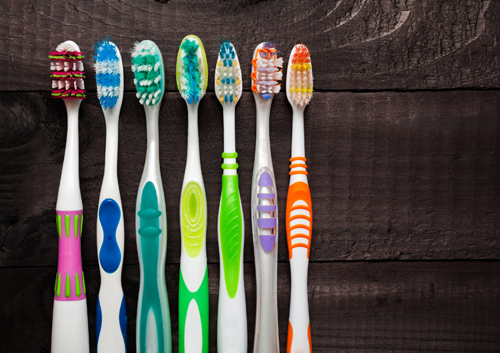 Bacteria are tenacious little germs that head for those concealed areas between toothbrush bristles. They are highly adaptable and exist in every type of extreme environment. Some people actually go so far as to put their toothbrush in a microwave for a few seconds to kill germs, but this doesn't always work either. In fact, you may only end up with a toothbrush that’s as bendable as a Gumby doll – and still covered with germs.